Aruna College of Nursing, Tumkur is committed in providing the students quality education along with the best training which turns them to be dedicated to their profession. With a belief that practical training plays a crucial role along with the syllabus they are providing all the students numerous facilities that comfort them and allow in concentrating more. With a great intention to serve society the college is offering a fair opportunity for all the students who like to fulfill all their dreams. Why to join Aruna College of Nursing, Tumkur? Sophisticated infrastructure: The college provides what all are essential for a student who likes to excel in their academics. 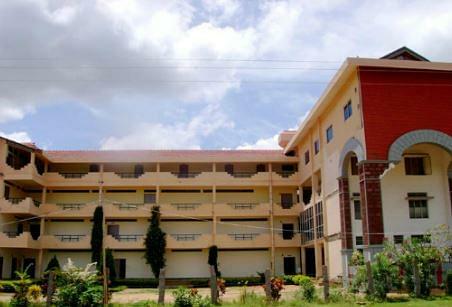 Starting from separate hostels for boys and girls the college has a conference room, faculty cabins, spacious and ventilated classrooms the college provides various facilities. Lab: The laboratory of the college ensures every student in gaining the right knowledge which is much essential in understanding in both basic and critical concepts. Individual attention: The College will always ensure in the safety of students and even try to focus on every student's ability. The institute offers a perfect learning environment where the students can enjoy completing their course.